Sage (Salvia officinalis) has been selected as the Herb of the Year for 2001. 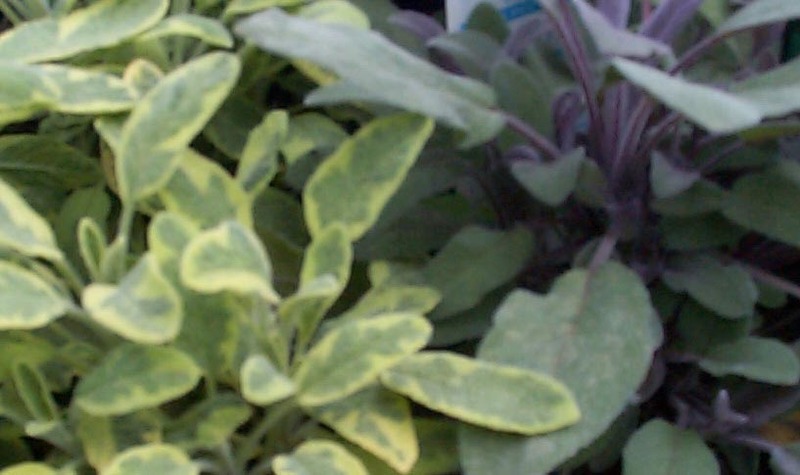 It is an easy to grow herb and a good perennial. It's main needs are good light and a well drained soil. We grow several varieties, including Tricolor, Purple, Golden, and Garden. Pictured above is Purple and Golden. Below you can see the beautiful blue flowers of Garden Sage.